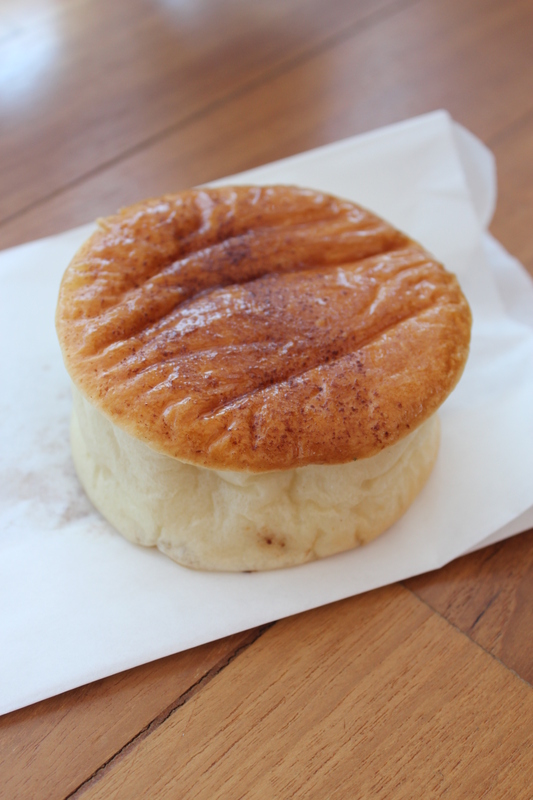 Mirabelle Patisserie- best sweet potato bun! I’ve been wanting to visit this place for the longest time after reading all the promising reviews about it. My plans were always been botched by the horrid weather but finally, it did not rain today after my volunteer work at sub courts! 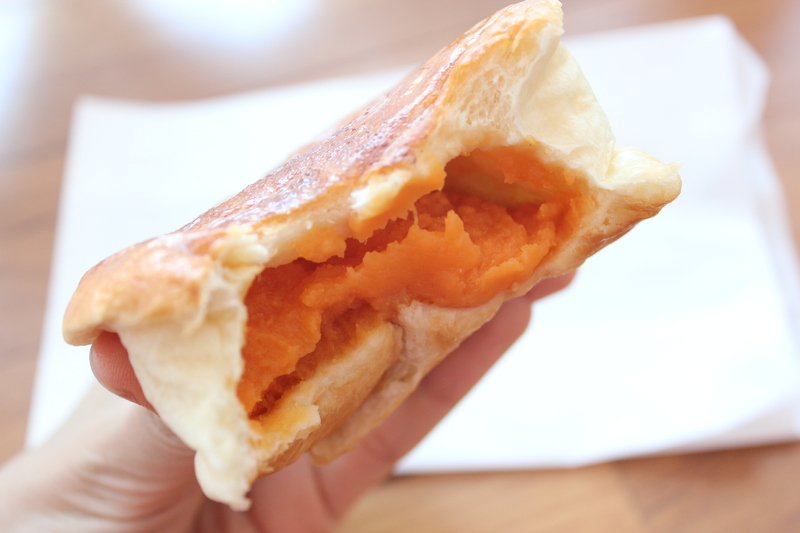 The sweet potato bun ($1.40) caught my attention as I was looking though my options. Sweet potatoes are one of my favourite root vegetables so after much deliberation (because all the other options looked so good! ), I decided to go ahead to get this bun. This little pucker was the heaviest of the lot- a good sign because it probably meant that there was a lot of fillings inside. Boy was I not disappointed one bit. The soft bun encased a sweet potato filling that was so moist and so smooth, definitely by far the best I have ever tasted! 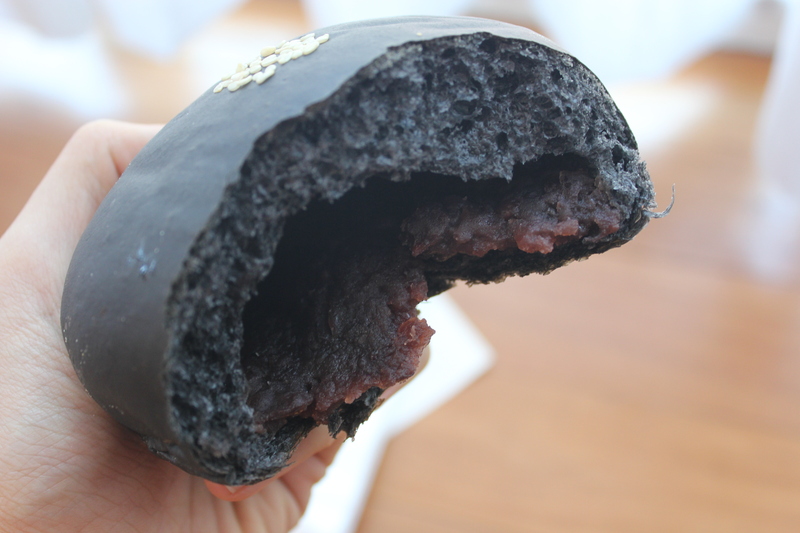 Usually neighbourhood bakeries add tons of sugar giving the sweet potato paste an artificial taste. Here, minimal amount of sugar was added hence the natural sweetness of the root vegetable was not masked at all. To make it a little sweeter to tease the tastebuds, the baker thoughtfully brushed some syrup on top and added a dash of cinnamon so that you can smell the enticing fragrance as you lift up the cover in the shop. What attracted me here in the first place were the charcoal buns that they offered. 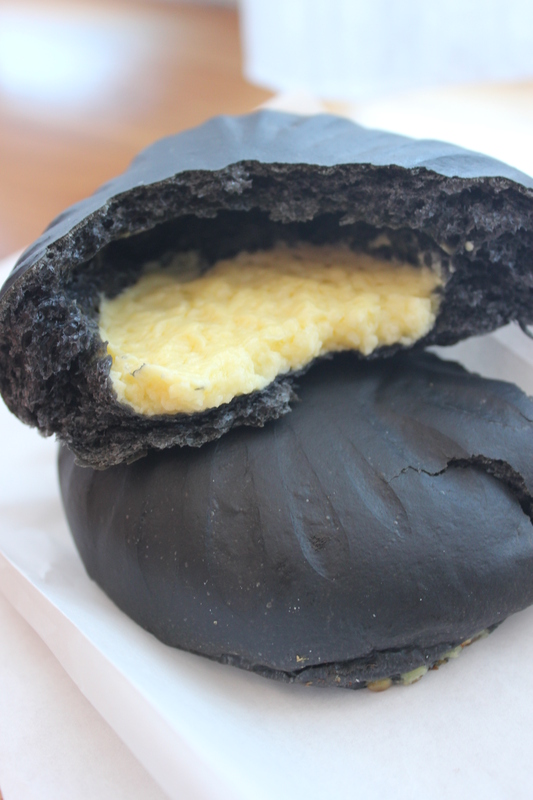 The texture of the charcoal bread was much coarser and drier as compared to its counterparts which have milk powder added instead. The curd-like custard filling failed to win me over not only because it was dry but also because it was not spread evenly inside (The other half of the bun sitting underneath had no filling at all). 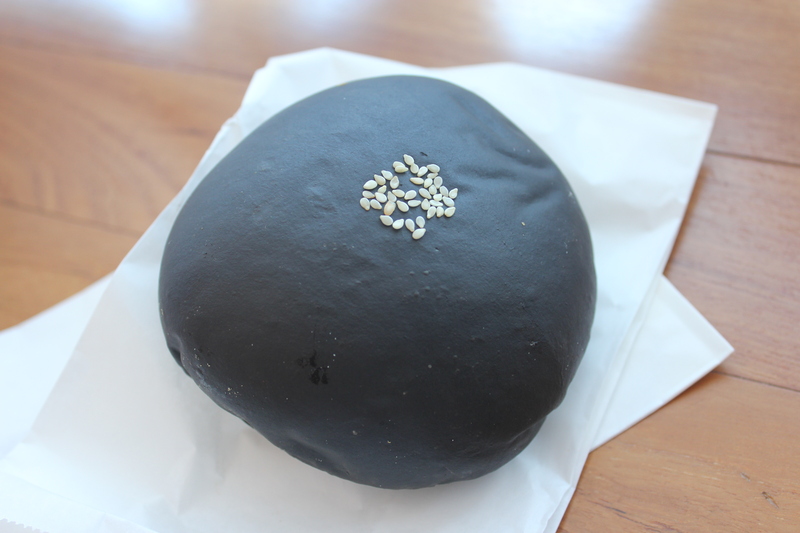 The Anpan ($2, same for both) on the other hand was a winner because of the generous amount of adzuki filling slathered evenly within. Three delicious buns later the verdict was clear: I’ll be lunching on Mirabelle’s baked creations again next week so long as the weather permits!